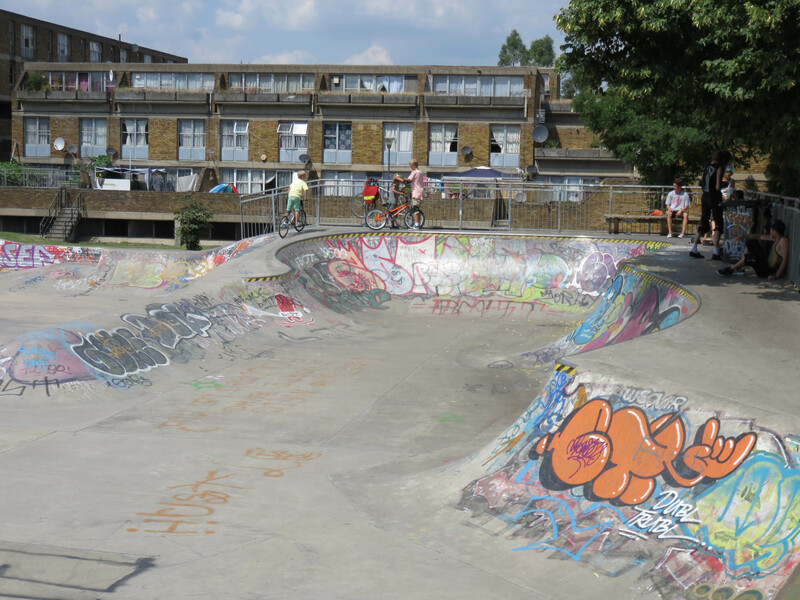 One of the oldest skateparks in London or for that matter anywhere, Stockwell, aka “Brixton Beach” or “Brixton Bowls” – was built in 1978. 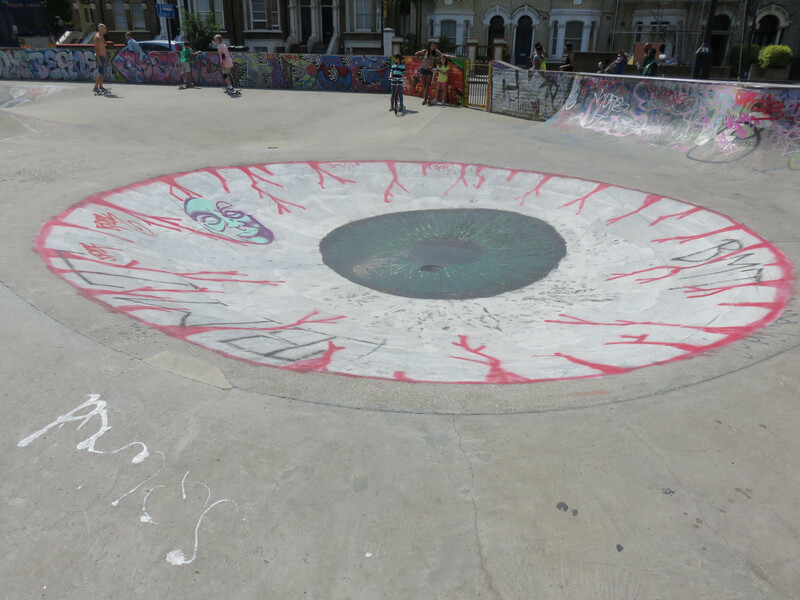 It is overseen by the Friends of Stockwell Skatepark and was constructed by Lorne Edwards, who built the UKs first skatepark at Portland, Dorset. 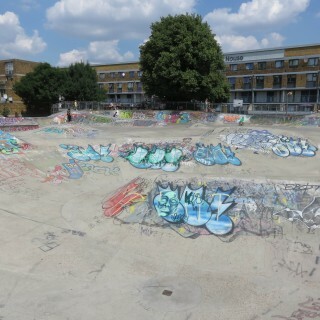 He then went on to build Kennington and Meanwhile 2. 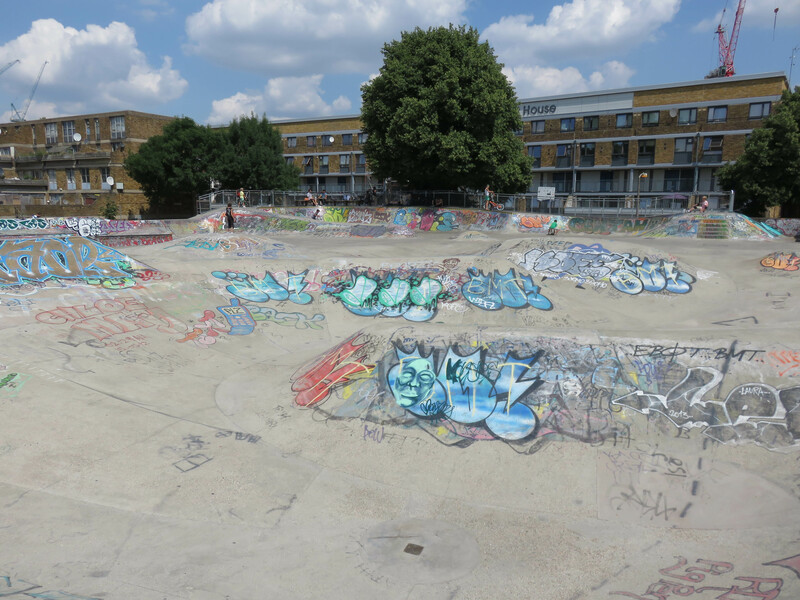 Stockwell is a large a varied all concrete park that has a lot to offer skaters and BMXers alike. 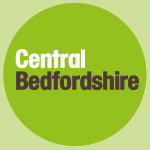 It was updated and resurfaced in 2008, adding new features. 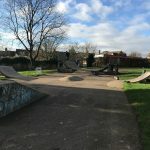 This park doesn’t feature many of your standardised obstacles but instead has a flowing series of organic undulations that is unlike any other skatepark in the UK. 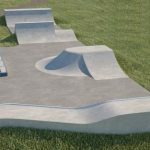 The most prominent features are the original long, wide snake run, and the more modern bowled corner with coping, but there are also many other hips, bumps and dips for pumping for speed and completing lines. 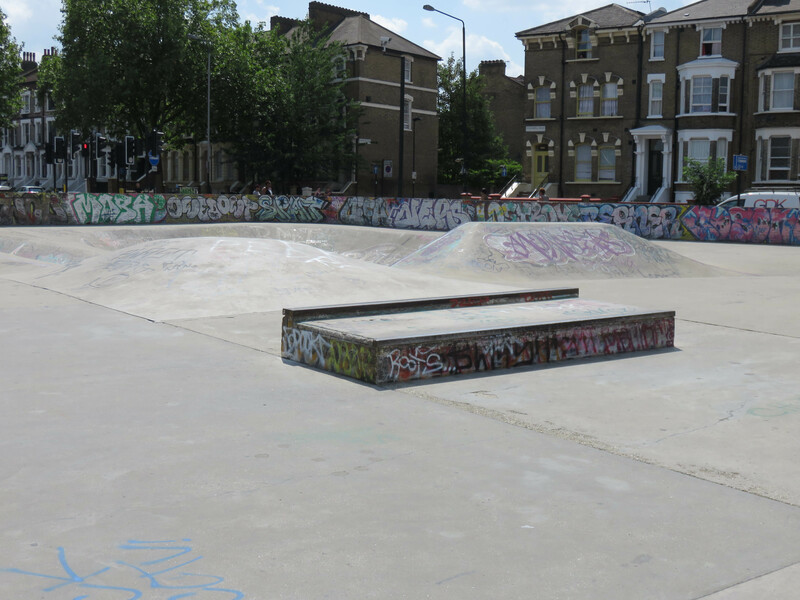 The park also features a selection of ledges, quarterpipes, and flat banks. 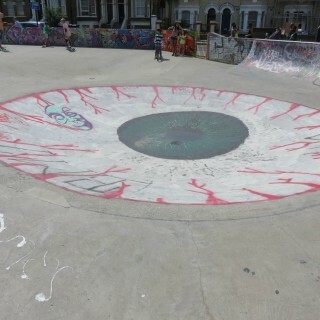 This is a unique piece of skate history and it can easily take up a whole day if you wanted it to. 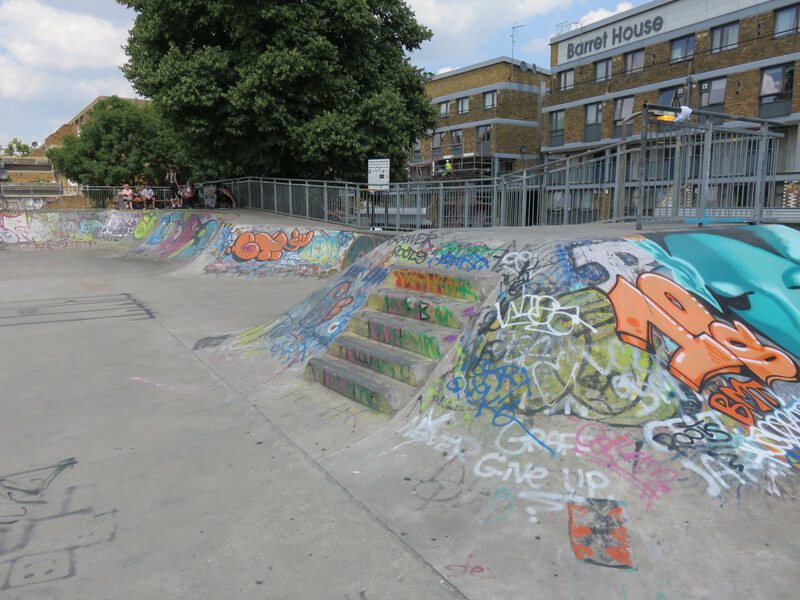 Make it top of you list of London spots and make sure you get down here. 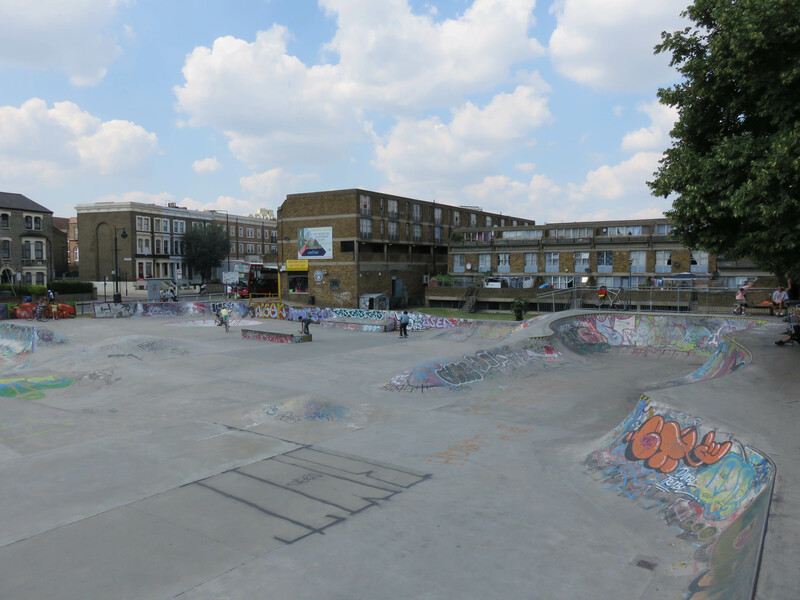 Brixton train station: Exit Brixton station onto Brixton Road and head north until you see Stockwell Road on your left. 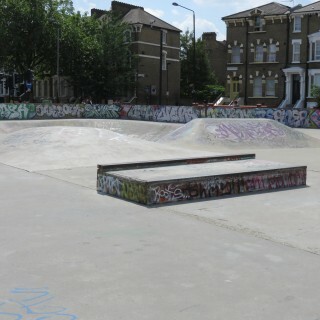 Take this road and Stockwell skatepark will be on your right. 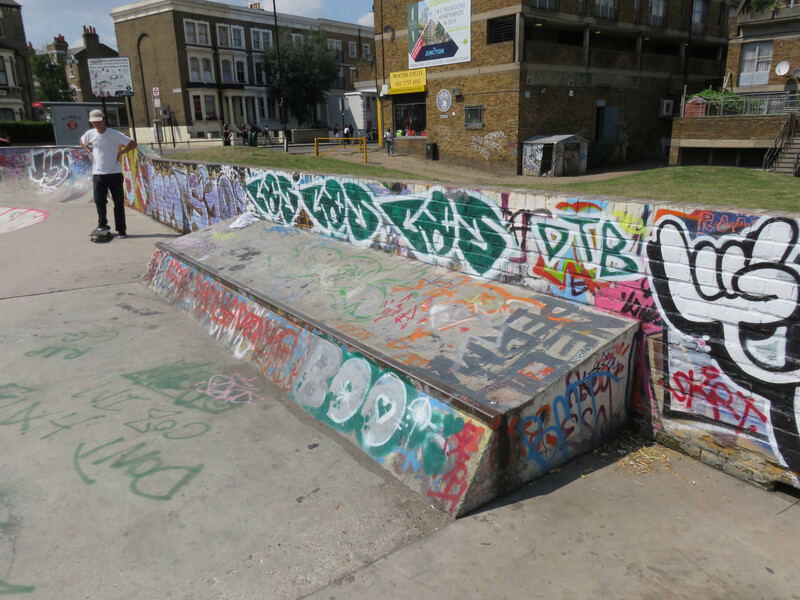 Stansfield Road bus stop: Exit the bus and Stockwell skatepark should be in sight. 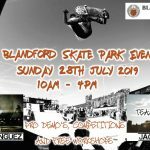 There are no on-site toilets however there are free to use toilets nearby.